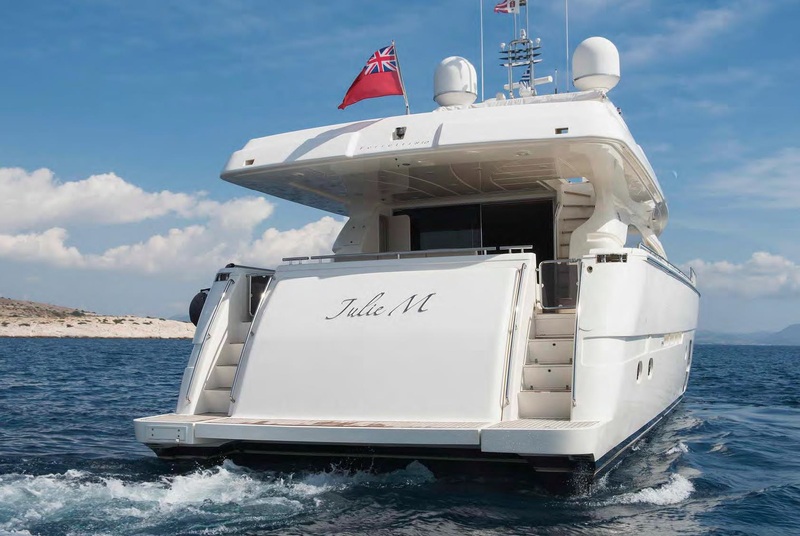 Delivered in 2008 by the Italian Ferretti group, 25,3m (83ft) motor yacht JULIE M is available for luxury yacht charter, accommodating up to 8 guests, in 4 ensuite cabins. The yacht has a professional crew of 4. Her interior décor is light and inviting, featuring contemporary tones and elegant furnishings. 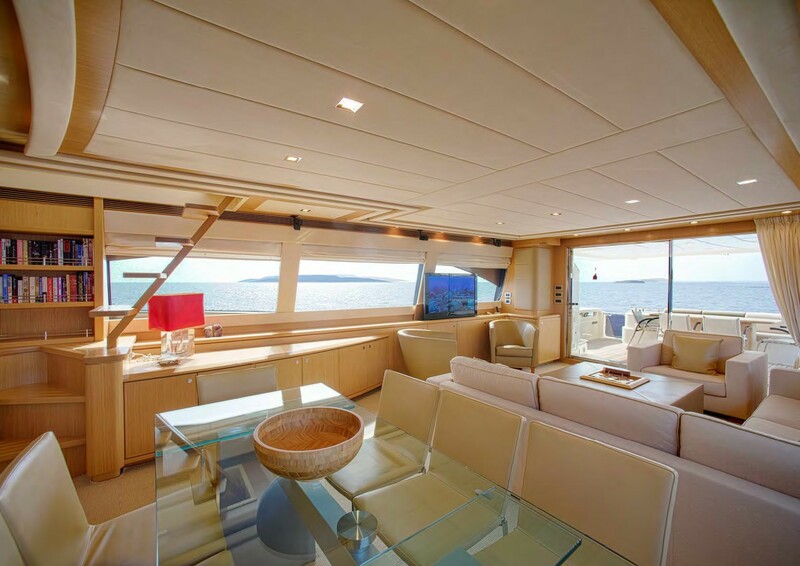 The main salon and dining is an open plan, offering the lounge aft and dining forward. 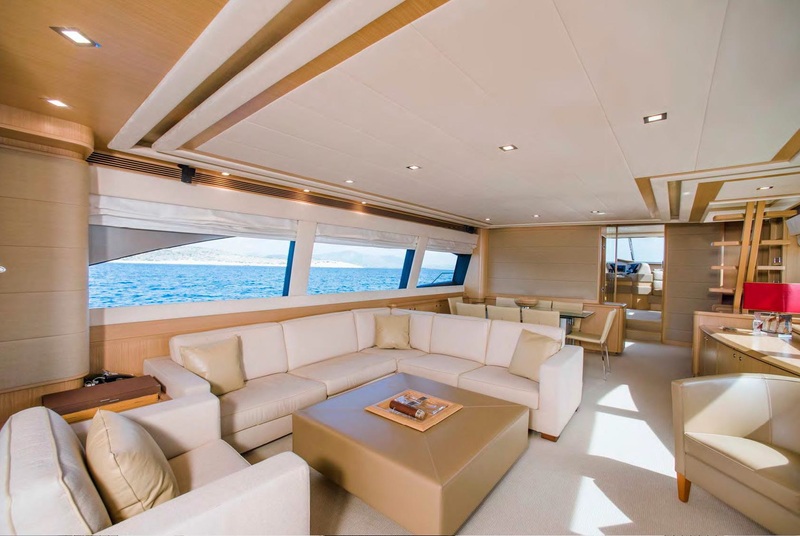 The lounge is comfortably appointed with an L shaped sofa, occasional chairs, coffee table and full entertainment systems. 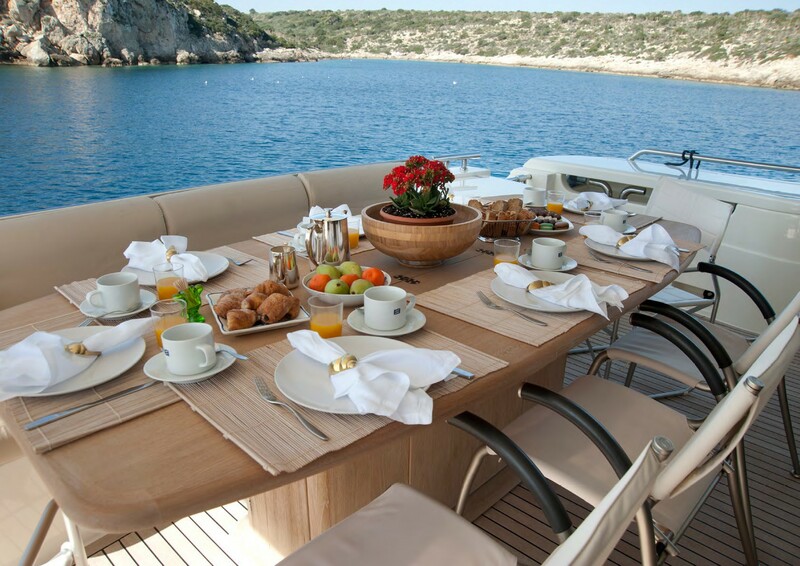 Her dining area seats 8 guests with ease, at a clear glass table and modern cream tones chairs. 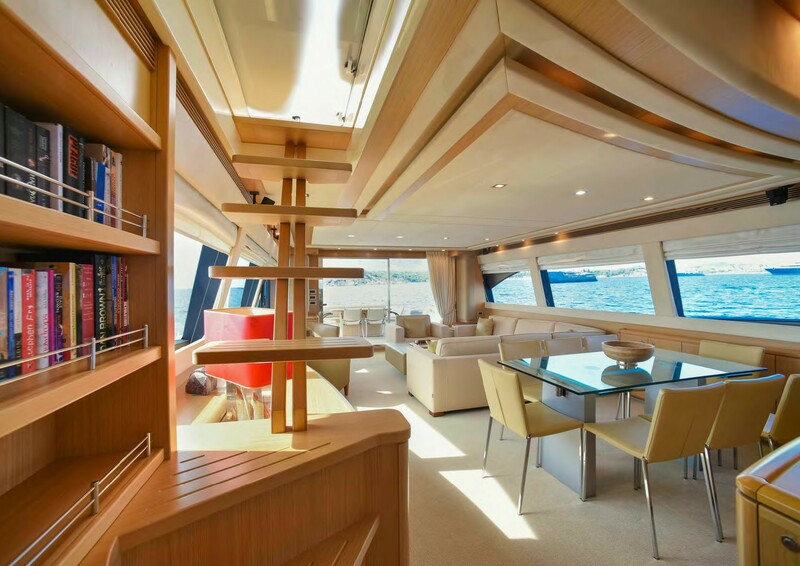 Natural light is plentiful from port and starboard side windows and a wide sliding glass door aft. 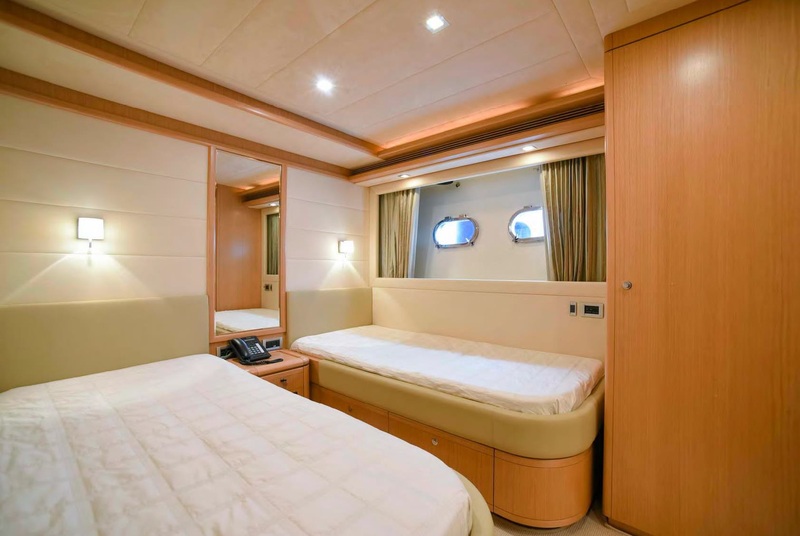 The yacht accommodation is on the lower deck, in 4 stylish cabins. 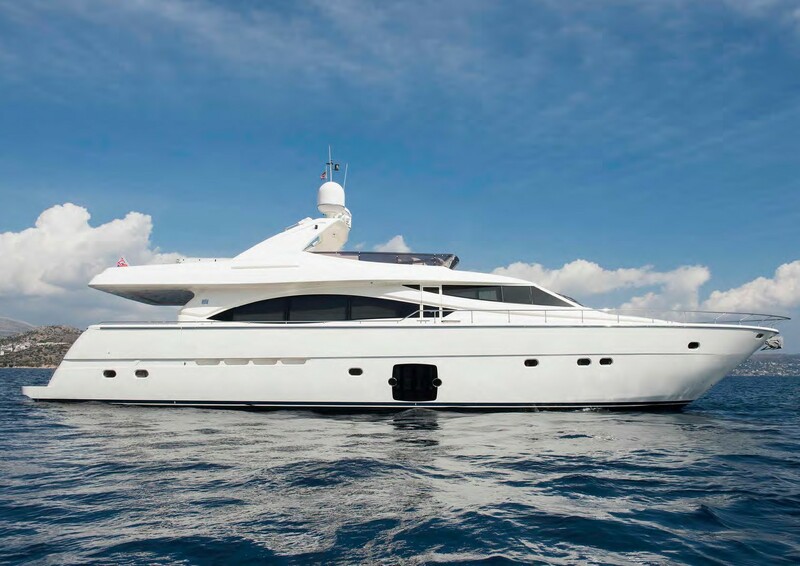 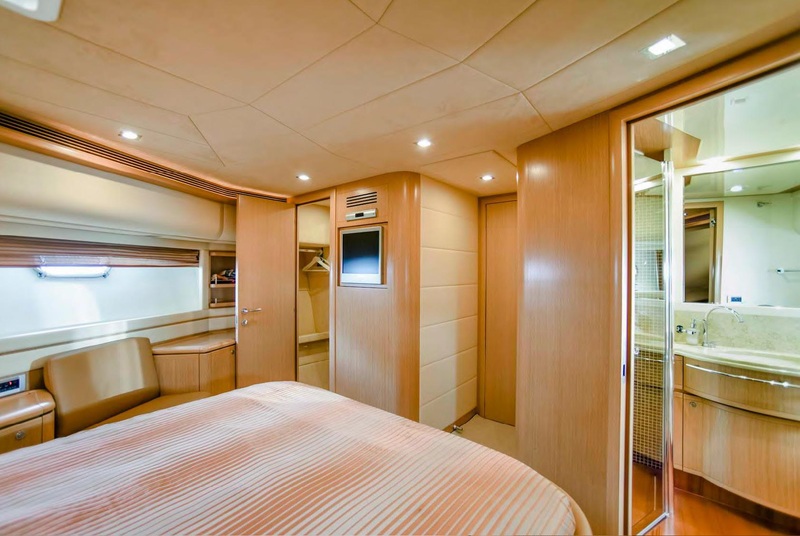 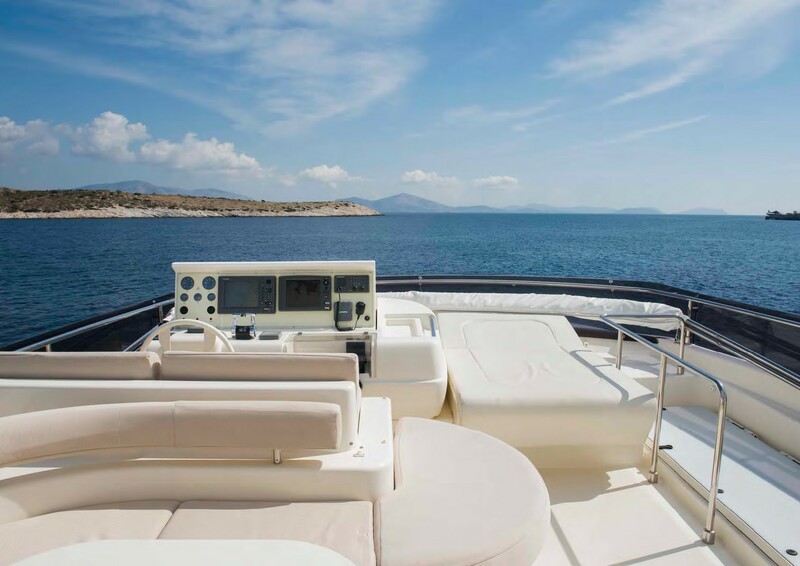 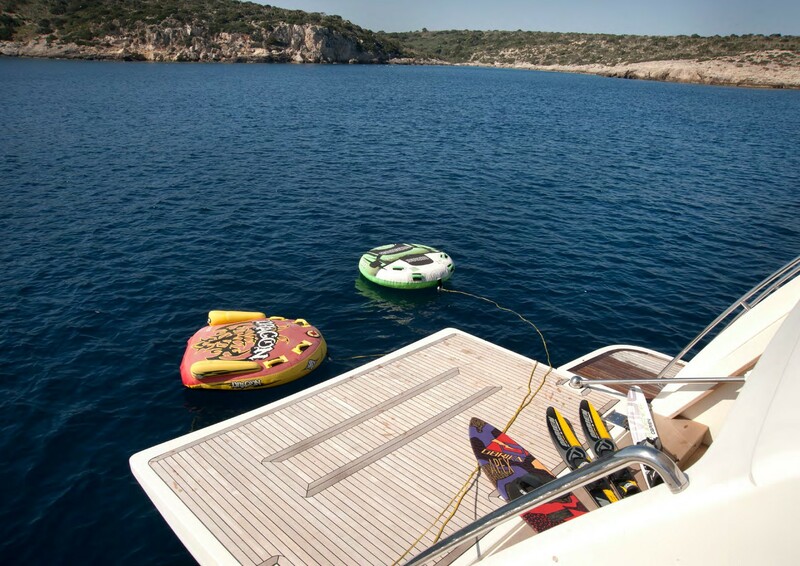 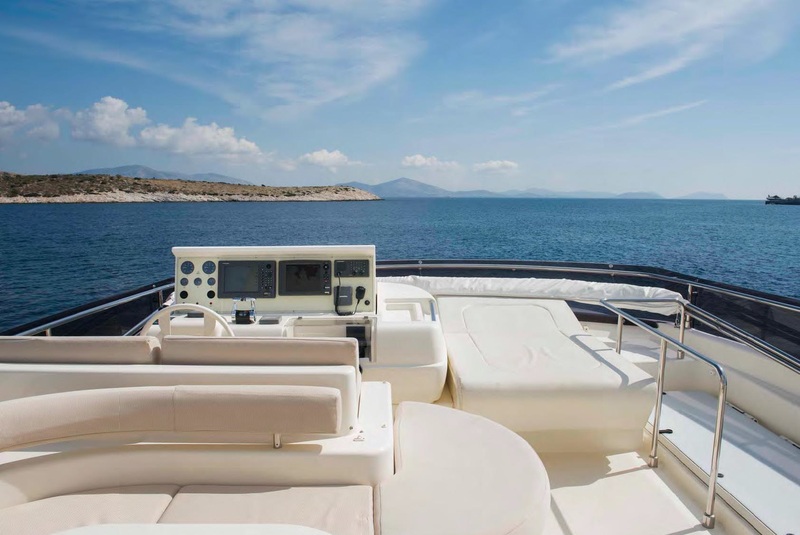 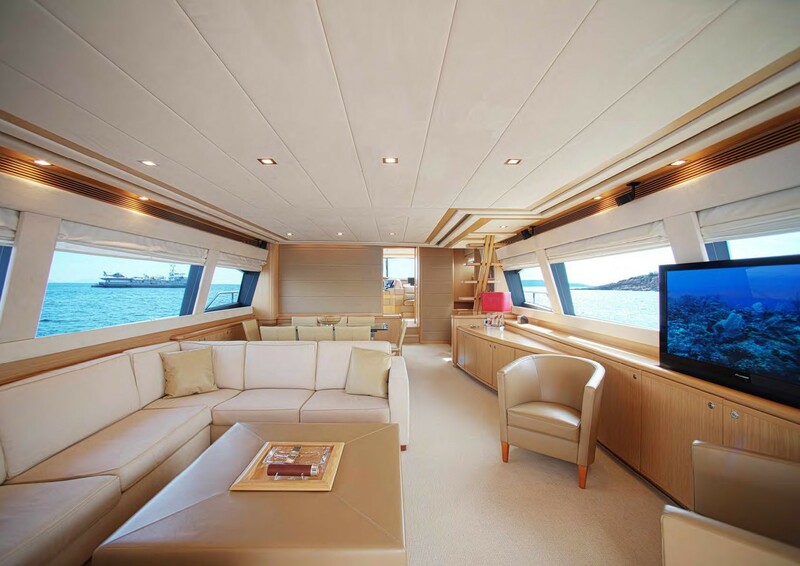 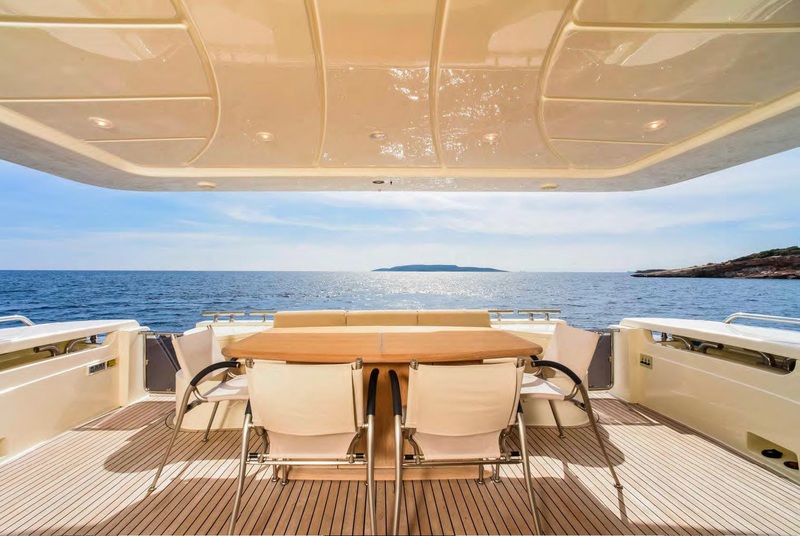 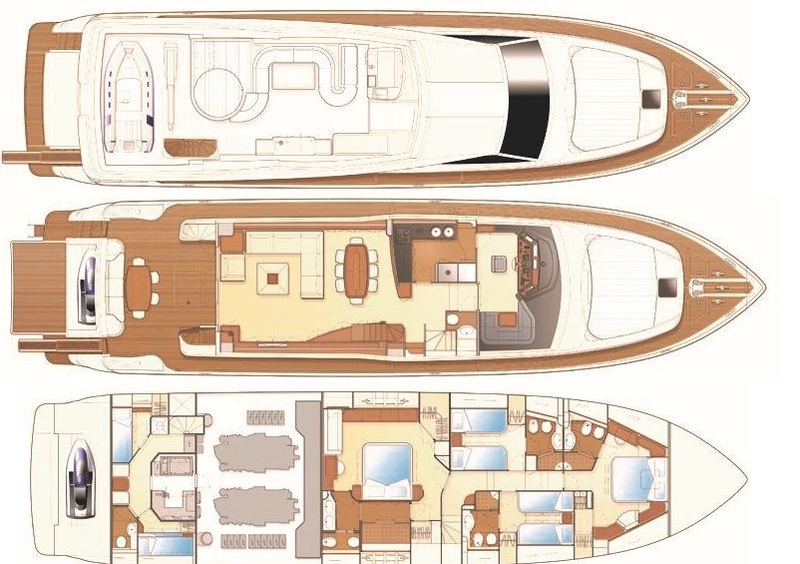 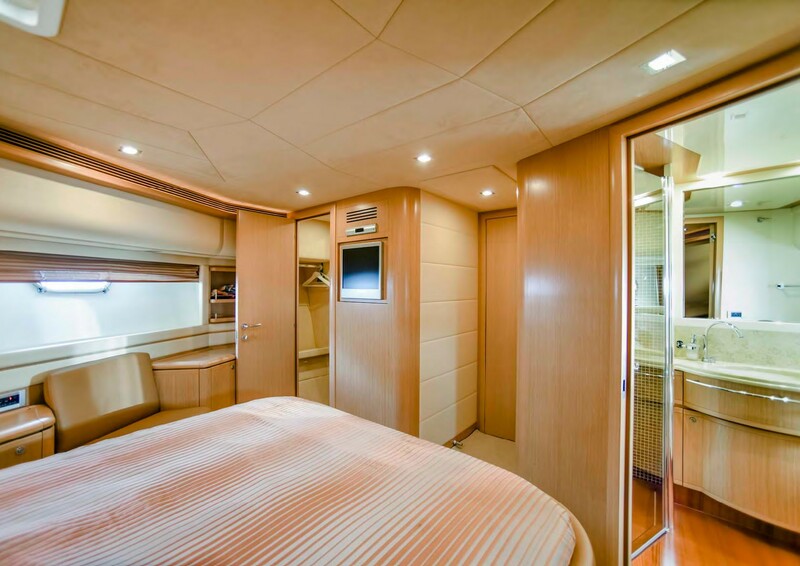 On deck, the Ferretti 83 offers ample areas to relax and be social. 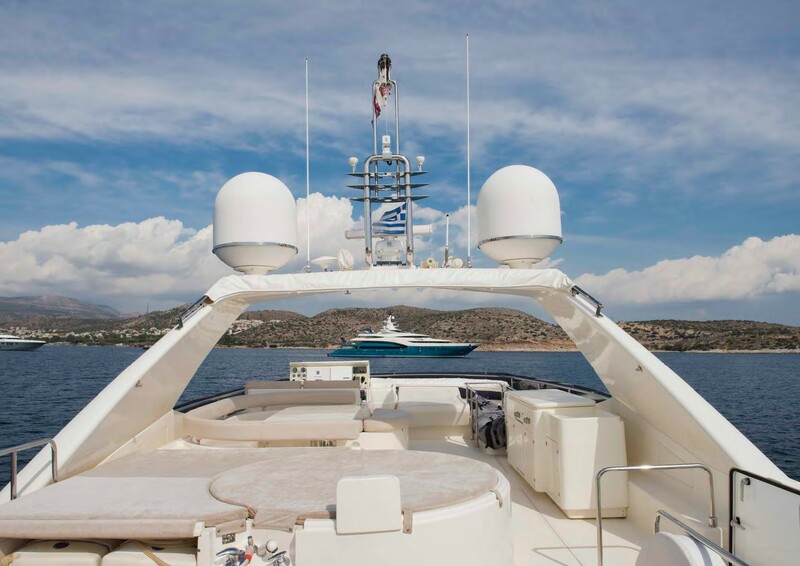 The aft deck is conveniently adjacent to the salon, featuring a shaded alfresco dining option, seating and easy access to the swim platform. 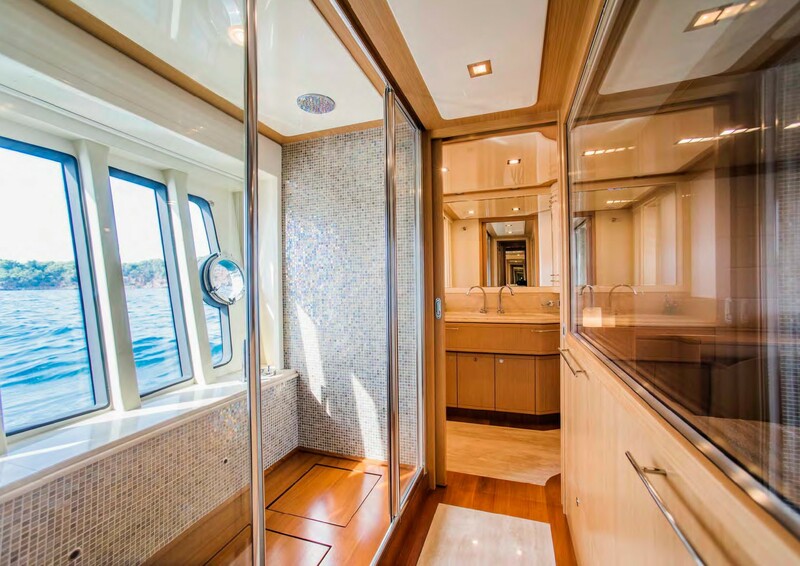 On the transom, a fold out garage door creates an extended platform and opens up into a water toys area. Wrap around decks leads forward to a raised sunpad on the foredeck. 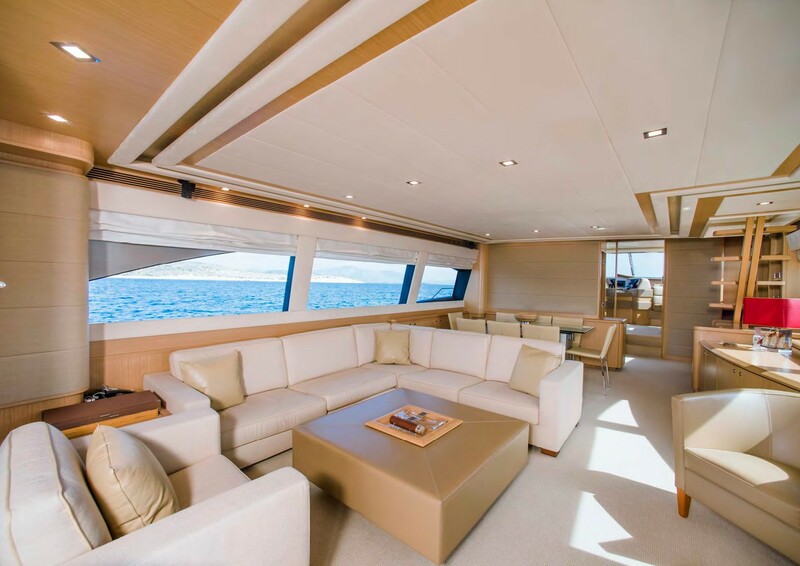 The yachts upper deck is well-appointed, complete with sun pads, seating, an alfresco dining option, wet bar/BBQ service station and removable Bimini cover. 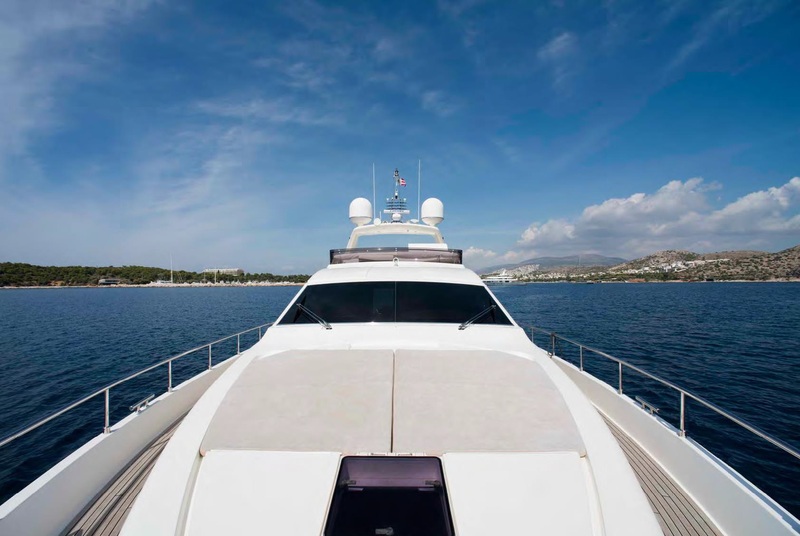 Two MTU 2,030hp engines provide cruising speeds of 27 knots and top speeds of 32 knots. 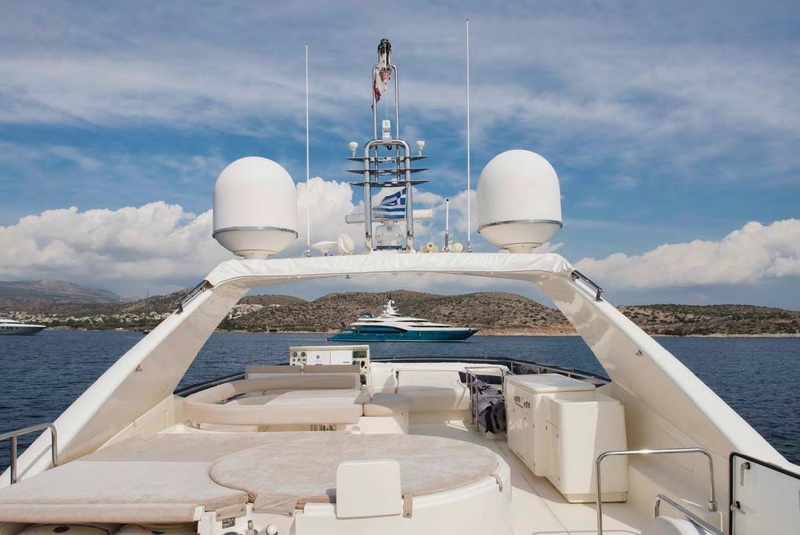 At anchor and underway, stabilizers ensure guests enjoy a comfortable charter experience. 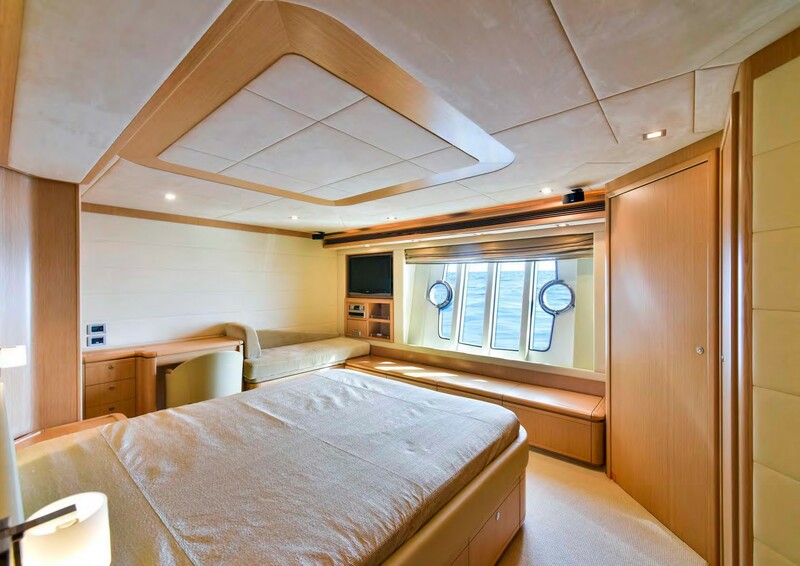 Accommodation is on the lower deck, in 1 full beam master cabin amidships, with a queen size bed, large en-suite with shower and panoramic windows. The VIP cabin is forward and full beam of the yacht with a double bed. 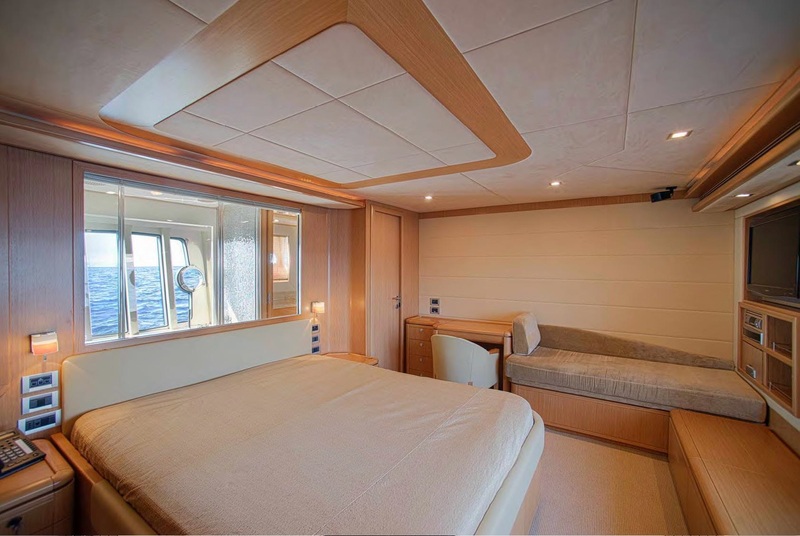 A further 2 cabins offer twin beds. 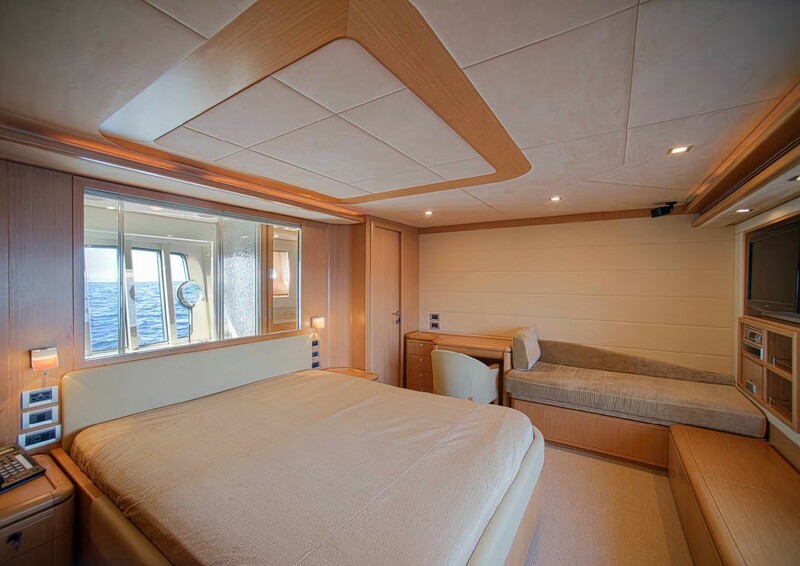 All 4 cabins are finished in a neutral serene styling.